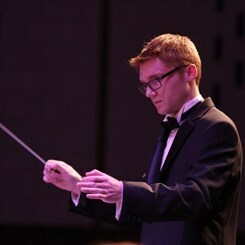 Interested in taking lessons with Adam L.
Adam is a recent graduate of Universit of Illinois at Urbana-Champaign with a Bachelor in Music Education. Adam has been playing French Horn for 13 years and trumpet for 11 years. Adam has played with a variety of music groups from concert bands and choirs to small chamber ensembles. He has experience teaching in a large classroom setting as well as one on one lessons. Whether you are are beginner looking to play trumpet for the first time, an advanced musician looking to improve your skills, or just wanting to add the french horn to your musicial instrument collection, lessons are a perfect way to continue to grow. Adam will be able to take you to the next level. Request Lessons with Adam L. today!